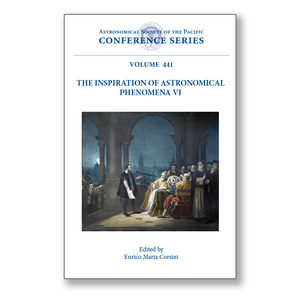 These are the proceedings of the international conference "The Inspiration of Astronomical Phenomena VI" celebrating the 400th anniversary of Galileo's first use of the telescope. The conference was organized by the Istituto Veneto di Scienze, Lettere ed Arti, the Astronomy Department of the University of Padua, the INAF-Astronomical Observatory of Padua, and the Vatican Observatory. The conference explored humanity's fascination with the sky, which has been a strong and often dominant element in human life and culture. The conference provided a meeting place for scholars from a variety of disciplines to discuss their studies on the cultural impact of astronomical phenomena and for artists to present their astronomically-inspired artworks. The first day was devoted to Galilean contributions, then on subsequent days the conference focused on the relationships between astronomy and art, architecture, literature, religion, history, music, and movies. The sections of the book reflect the conference sessions. Since 2009 was declared by the United Nations as the "International Year of Astronomy" to celebrate Galileo's accomplishments, it seemed the appropriate time to hold a conference where the results of the most recent studies investigating the role of astronomy in the multiple manifestations of human spirit could be aired. The previous conferences devoted to the inspiration of astronomical phenomena took place in 1994 in a retreat at Rocca di Papa in Italy, near the Vatican Observatory; in 1999 at the International Office of the University of Malta; in 2001 at the Palermo Observatory in Italy; in 2003 at the University of Oxford; and in 2005 at the Adler Planetarium and Astronomy Museum in Chicago. This book is of interest for scholars, students, and artists fascinated by the interplay between astronomy and culture.